1-Wire is a device communications bus system designed by Dallas Semiconductor Corp.
What is a 1-wire bus ? The most popular use of 1-wire bus is to use the Dallas DS18B20 temperature sensors. The image below illustrates how to wire it on the screw terminals available on the CM3-Home board. It is possible to wire more than one sensor. The 1-wire data line in CM3-Home is interfaced through a dedicated buffer in order to allow a more robust bus, therefore it doesn’t require a pullup. 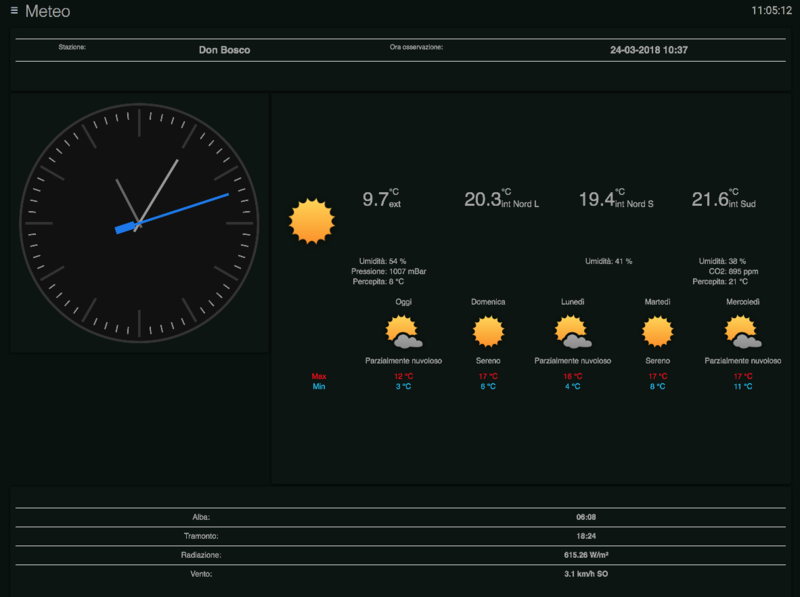 The example supplied reads the temperature value returned by the sensor and shows it on the UI . 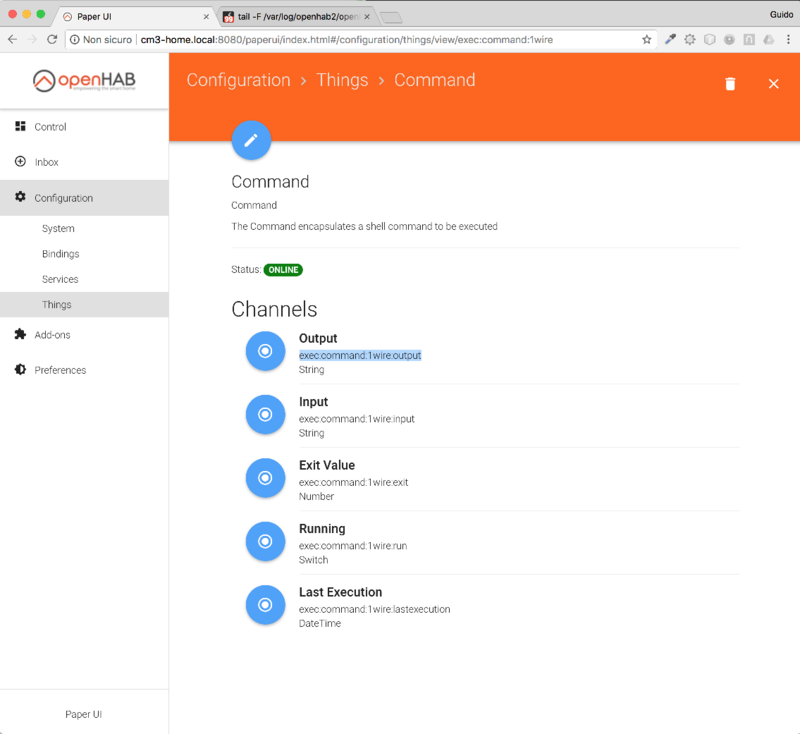 Once defined, the item is part of the OpenHAB environment and can be used as shown in a single panel or integrated in a more complex dashboard that collects the values from other sensors, with different technologies. 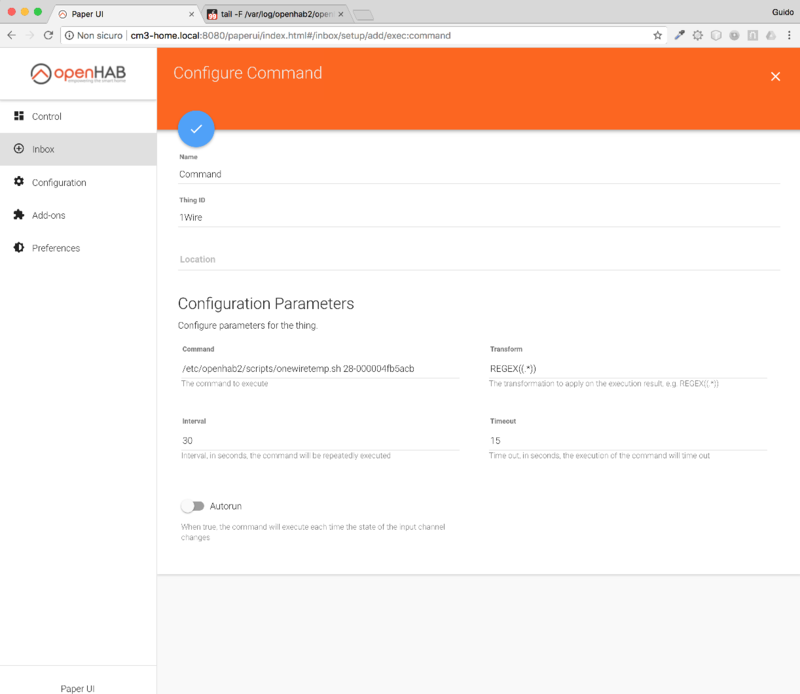 This article describes how to OpenHAB can read a Dallas DS18B20 temperature sensor directly attached to the dedicated socket of the CM3-Home. To read the sensor value we are going to use the binding that allows to execute periodically a script. Install and configure the sensor, note the ID of your sensor. 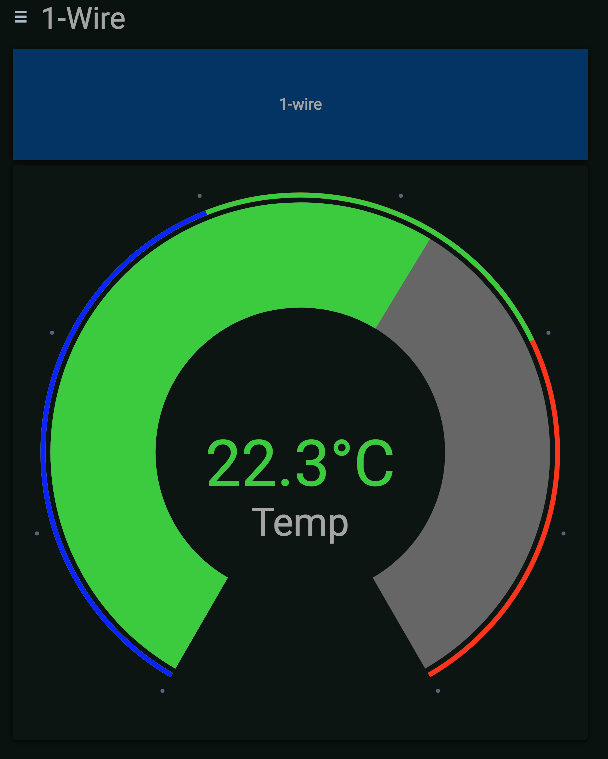 To use the item value in a widget to show in an habpanel, it needs another step. Because the value read from the sensor is a string, it must be converted to a float value before being used in a knob widget. Number Temp1WireValue "1-Wire Temp [%.1f °C]"
When the string value changes the rule is triggered converting it in the float variable Temp1WireValue, to be used in the widget.